The Panasonic Lumix GH5 packs a real punch with its high performance 20.3MP Digital Live MOS sensor to achieve incredible picture. The high-resolution 3,680k-dot OLED Live View Finder matches up to exactly how you intended to see the image even under direct sunlight. A high 0.76x magnification (35mm camera equivalent) makes it easy to see image detail, your settings and icons and, the long eye point distance of 21mm is excellent for people who wear glasses. 5-axis Dual I.S. 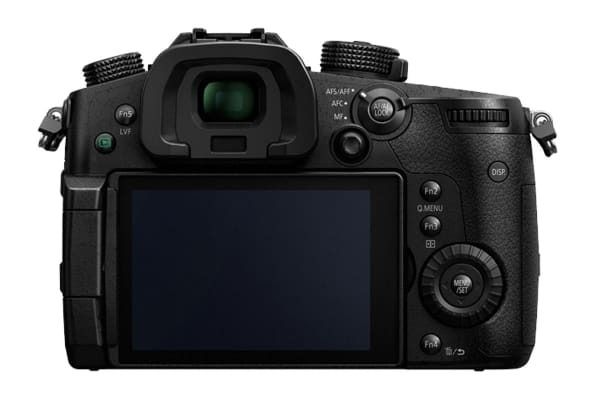 (Image Stabiliser) intelligent compensation enables up to 5-stops of slower shutter speeds even through telephoto lenses. 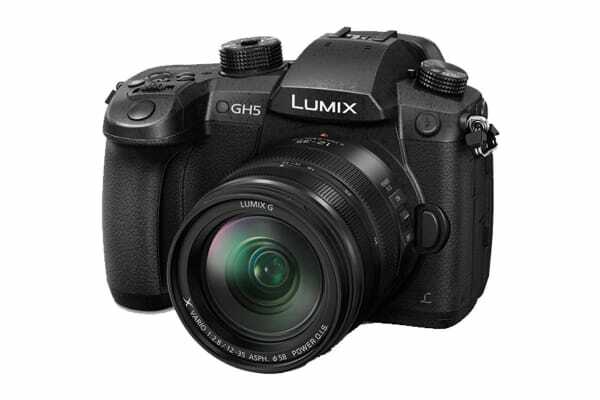 The Lumix GH5 nearly eliminates shake in both body and lens from wide-angle to tele-end. It also works in both photo and video recording, including 4K video. The astonishing power of the 5-axis Body I.S. corrects shake for all lenses, including classic lenses not equipped with O.I.S. The marriage of an advanced Digital Live MOS sensor with the beautiful Venus Engine 10 produces extraordinary colour detail and natural texture expression. Multipixel Luminance Generation and Intelligent Detail Processing render intense brightness and contrast. The Three-Dimensional Colour Control zings with rich colours from dark to bright shades and high-precision Multi Process NR makes your images pop even at high ISO sensitivity settings. Video users will be impressed with the improved performance in perceptual dynamic range at high ISO sensitivity settings. The shutter unit is durable for approximate 200,000 times release. Not only does it offer the highest shutter speed at maximum 1/8000 to capture fast-moving ‘spur-of-the-moment’ shots, but when used with fast aperture lenses, even outdoors, it gives impressive de-focus. The Lumix GH5 records silky smooth 4K 60p/50p (QFHD 4K: 3840 × 2160 / MOV or MP4) video. Faster frame rates mean excellent motion compensation plus you can slow down footage inside your video editing timeline without losing detail. You can also achieve perfect panning control and a suppression of the rolling shutter effect as seen in lesser frame rates. High-resolution images and perfect focal length can also be achieved as the Lumix GH5 features pixel for pixel, no sensor cropping recording. There’s also no recording duration limit, so you can go beyond 30 minutes in all record settings. 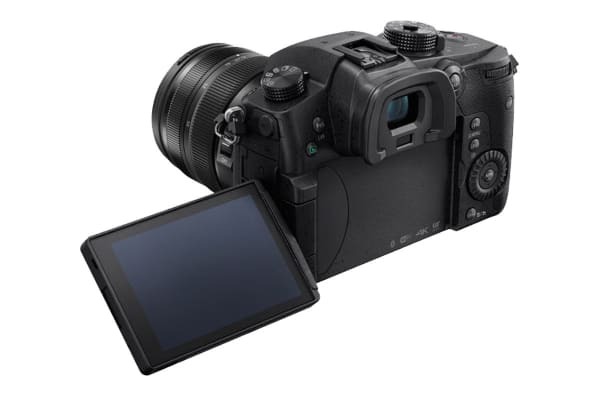 The Lumix GH5 brings game changing internal 4:2:2 10-bit 4K video recording. The power of having film creation capabilities inside the camera sets a new precedent in guerrilla style filmmaking. And you can record 4:2:2 10-bit to SD card whilst simultaneously feeding the live signal through a full-size HDMI port connected to an external monitor or recorder. 4:2:2 10-bit recording enables faithful colour and grading fidelity with over a billion colours and four times the tonality of 8-bit to match professional intent. The VFR lets you record videos with dramatic slow motion or unique quick motion in 4K (60 fps maximum 2.5x slower) or Full HD (180 fps maximum 7.5x slower) quality, such as 180 fps/7.5x. Shoot with unlimited burst, then choose and extract the exact frames you want to keep. The new 6K PHOTO mode at 30 fps allows you to capture the perfect moments at a stunning ~18-megapixel high-resolution. The Ultra-high-speed 4K PHOTO mode at 60 fps freezes even faster motion which is simply not possible in conventional DSLR cameras. The Lumix GH5 truly does make moments unmissable. Panasonic’s DFD (Depth From Defocus) technology allows the Lumix GH5 to calculate focal lens movement by comparing depth of field values of two images at incredibly high speed. By combining the AF drive with a maximum read speed of 480 fps, the Lumix GH5 can achieve ultra-high-speed Auto Focus in up to 0.05 seconds and 9 fps burst shooting with AFC. A newly adopted motion detector accurately tracks fast moving subjects and enables smooth 4K PHOTO/VIDEO and 6K PHOTO recording. The Bluetooth 4.2 (Low Energy) enables full-time connection between camera and smartphone with low energy consumption. After shooting, it automatically switches to Wi-Fi connection, transferring data to your smartphone. The Wi-Fi 5GHz (IEEE802.11ac) is incredibly fast. You can use Lumix Image App for Android / iOS to control shutter and other settings, plus, video record Start/Stop without physically touching the camera. The Lumix GH5 is built like a tank to withstand even heavy use out in the field. It is freeze-proof down to -10°C in addition to splash/dustproof construction, thanks to weather sealing on every joint, dial and button. A magnesium alloy full die-cast armour frame makes the body lightweight, yet durable while bringing ruggedness to the compact size. This camera can go everywhere you can.